Vernest Griffin was sentenced today to life in prison without the possibility of parole. 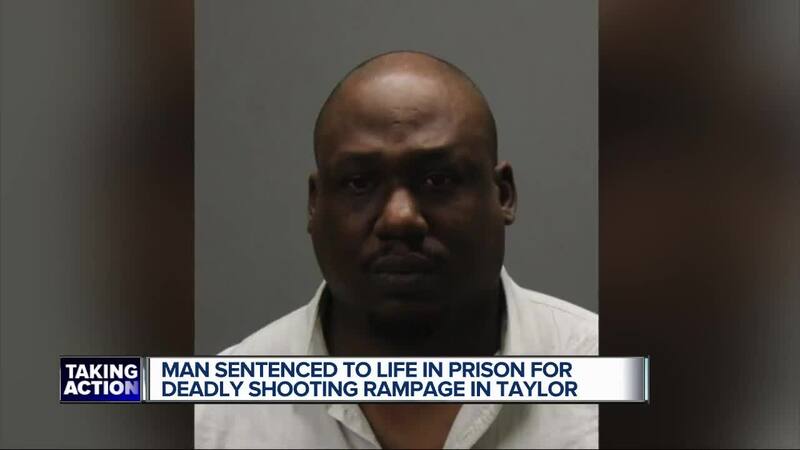 TAYLOR, Mich. (WXYZ) — Vernest Griffin was sentenced today to life in prison without the possibility of parole. Griffin of Sterling Heights was found guilty of killing Keith Kitchen at a workplace in Taylor back in February 2018. Prosecutors say Griffin then stole a semi-truck and drove to another one of his former job sites in Pontiac where he allegedly shot and killed Eriberto Perez. Griffin's trial for that murder is set to begin July 8. He is also charged in connection with two shootouts in Waterford Township. Griffin fatally shot Keith Kitchen at a trucking company in Taylor where he used to work. The Kitchen family wore T-shirts with a picture of Keith along with his ashes in lockets. Michele Kitchen is the victim’s widow. “It doesn’t really feel like closure because I don’t feel it will ever truly be over for us,” she said. Part of the punishment, Griffin must pay her more than $3,000 for funeral costs. “Do the best we can and we will watch the grandkids go forward and keep his memory alive with them,” she added.